Caleb FARR [Parents] [scrapbook] 1-6200 was born 2, 3, 4, 5 on 9 Jun 1781 in Chesterfield, Cheshire, New Hampshire, United States. He died 6 on 9 Dec 1851 in Brandon Center, Franklin, New York, United States. He was buried in Dec 1895 in Stephen's Cemetery, Brandon, Franklin, New York, United States. Caleb married 7, 8 (MRIN:2741) Anna or Amy TITUS-6519 on 11 Feb 1806 in Chesterfield, Cheshire, New Hampshire, United States. Caleb was counted in a census 9 in 1810 in Chesterfield, Cheshire, New Hampshire, United States. Anna or Amy TITUS 1-6519 was born 2 on 22 Oct 1787 in of Chesterfield, Cheshire, New Hampshire, United States. Anna married 3, 4 (MRIN:2741) Caleb FARR-6200 on 11 Feb 1806 in Chesterfield, Cheshire, New Hampshire, United States. Anna was also known 5 as Anna Farr. She was also known 6 as Emme Titus. She was counted in a census 7 in 1860 in Dickinson, Franklin, New York, United States. CENSUS: In the household of her son in law, Safford Hazen. M i Charles FARR-8311 was born about 1806. He died on 19 Nov 1880. F ii Mary Luna FARR-8313 was born on 6 Oct 1807. She died on 19 Oct 1875. Chauncy FARR 1-13865 was born in 1808 in Chesterfield, Cheshire, New Hampshire, United States. Laura FARR 1-13864 was born in 1810 in Chesterfield, Cheshire, New Hampshire, United States. Elvira Regina FARR-8312 was born about 1817 in Vermont, United States. She died about 1841. F vi Amy Rosina FARR-8314 was born on 14 May 1823. She died on 30 Nov 1912. Benjamin STREETER 1-6690 was born 2 in 1786 in New Hampshire, United States. Benjamin married 3, 4, 5 (MRIN:2742) Sarah FARR "Sally"-6202 on 5 Aug 1807 in Chesterfield, Cheshire, New Hampshire, United States. Benjamin was counted in a census 6 in 1850 in Westmoreland, Cheshire, New Hampshire, United States. Sarah "Sally" FARR [Parents]-6202 was born 1, 2, 3, 4 on 8 Jan 1786 in Chesterfield, Cheshire, New Hampshire, United States. Sally married 5, 6, 7 (MRIN:2742) Benjamin STREETER-6690 on 5 Aug 1807 in Chesterfield, Cheshire, New Hampshire, United States. Lewis Royce PEABODY-9428 was born on 10 Dec 1810 in Montpelier, Washington, Vermont, United States. He died on 4 Dec 1882 in Doniphan, Hall, Nebraska, United States. Lewis married (MRIN:2743) Matilda FARR-6204 in Jul 1842. Matilda FARR [Parents] [scrapbook]-6204 was born 1 on 22 Apr 1821 in Malone, Franklin, New York, United States. 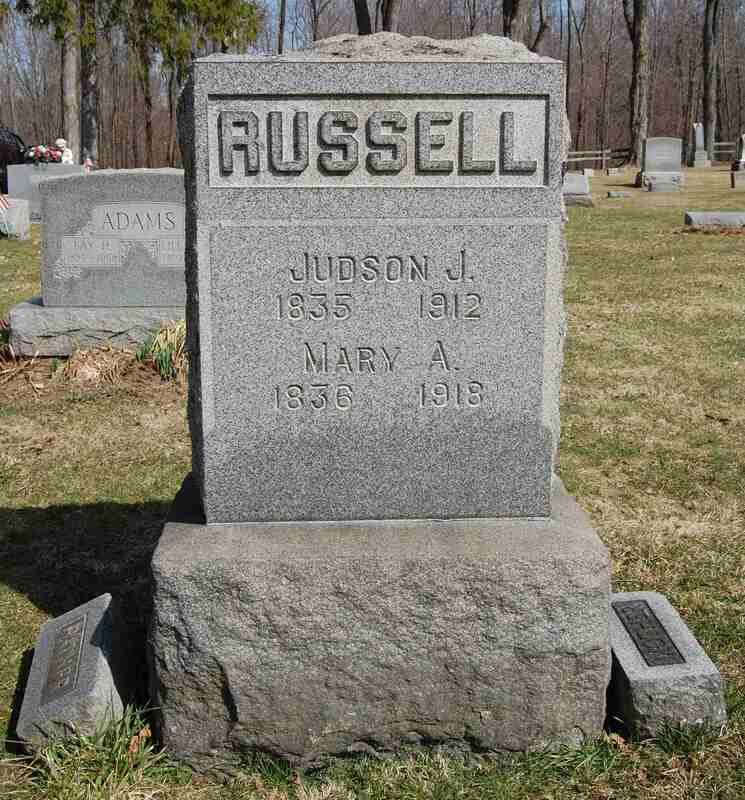 She died 2 on 31 Oct 1900 in Hansen, Adams, Nebraska, United States. Matilda married (MRIN:2743) Lewis Royce PEABODY-9428 in Jul 1842. Matilda was counted in a census 3 in 1900 in Blaine, Adams, Nebraska, United States. Calvin FARR [Parents]-6205 was born on 28 Jun 1823 in Brandon, Franklin, New York, United States. 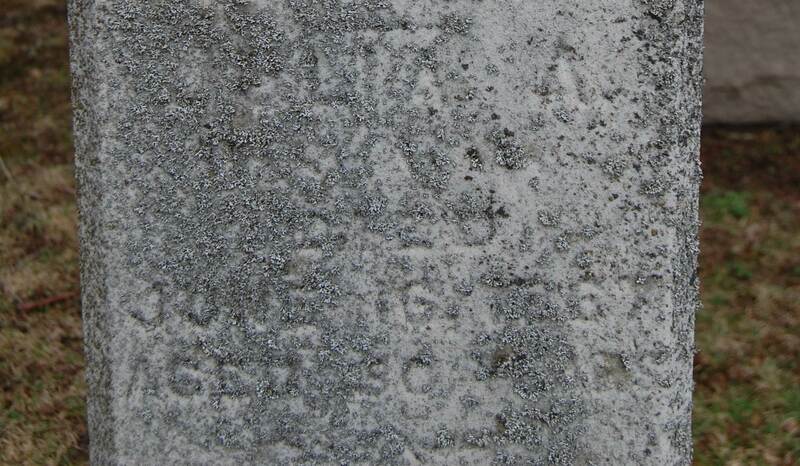 He died about 1850 in California, United States. Calvin married 1 (MRIN:2744) Almatia Laird FOSTER-9429 on 8 Apr 1846 in Springfield, Hampden, Massachusetts, United States. Almatia Laird FOSTER [scrapbook]-9429 was born 1 on 8 Sep 1826 in Freedom, Waldo, Maine, United States. She died 2 on 8 Oct 1929 in Fitchburg, Worcester, Massachusetts, United States. Almatia married 3 (MRIN:2744) Calvin FARR-6205 on 8 Apr 1846 in Springfield, Hampden, Massachusetts, United States. M i George Franklin FARR-9430 was born on 3 Sep 1847. Loren FARR-10948 was born 1 on 26 Sep 1849 in Chicopee, Hampden, Massachusetts, United States. Loren was counted in a census 2 in 1850 in Chicopee, Hampden, Massachusetts, United States. Chauncy FARR [Parents] [scrapbook]-6206 was born on 8 Jan 1826 in Brandon Center, Franklin, New York, United States. He died on 16 Sep 1872 in Brandon Center, Franklin, New York, United States. Chauncy married (MRIN:2745) Sarah DREW-6367 on 10 Dec 1857 in Brandon Center, Franklin, New York, United States. Chauncy had a will 1 on 4 Sep 1872 in Franklin, New York, United States. His will was probated 2 on 14 Oct 1872 in Franklin, New York, United States. Sarah DREW [scrapbook] 1, 2-6367 was born 3 on 1 Jun 1842 in New York, United States. She died on 4 Aug 1892 in Brandon Center, Franklin, New York, United States. Sarah married (MRIN:2745) Chauncy FARR-6206 on 10 Dec 1857 in Brandon Center, Franklin, New York, United States. Named in her first husband's will as his wife and sole executor. M i Rueben Augustus FARR-8357 was born on 15 Sep 1858. He died on 17 Mar 1914. M ii William Eugene "Willy" FARR-8358 was born on 15 Mar 1860. He died on 24 Dec 1916 from of cancer. Stella Mary FARR [scrapbook]-8359 was born 1 on 29 Aug 1868 in Brandon Center, Franklin, New York, United States. She died 2 on 13 Apr 1877 in Newton, Vernon, Wisconsin, United States. Mentioned in her father's will. Ferrin MARTIN-13910 was born in 1822 in Dover, Strafford, New Hampshire, United States. He died 1 on 2 Apr 1885 in Clinton, Worcester, Massachusetts, United States. Ferrin married 2 (MRIN:2746) Amanda M. FARR-6207 on 3 Nov 1849 in Lancaster, Worcester, Massachusetts, United States. 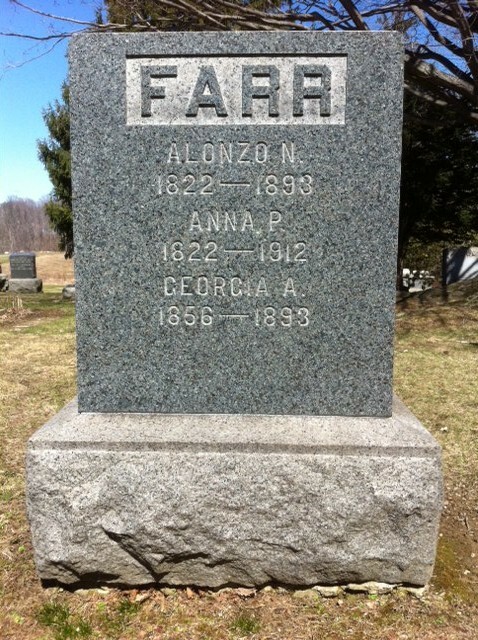 Amanda M. FARR [Parents]-6207 was born on 30 Mar 1828 in Brandon Center, Franklin, New York, United States. She died on 19 Jun 1857 in Malone, Franklin, New York, United States. Amanda married 1 (MRIN:2746) Ferrin MARTIN-13910 on 3 Nov 1849 in Lancaster, Worcester, Massachusetts, United States. Cyrus Thomas FARR [Parents] [scrapbook]-6208 was born 1 on 9 Feb 1831 in Brandon Center, Franklin, New York, United States. He died 2 on 22 Oct 1910 in Newton, Vernon, Wisconsin, United States. Cyrus married 3 (MRIN:2747) Alzina L. CRANDELL-8404 on 12 Jul 1855 in Elmira, Chemung, New York, United States. Cyrus was counted in a census 4 on 13 Aug 1870 in Harmony, Vernon, Wisconsin, United States. Sarah, the wife of Cyrus, deeds land to Wallace Jarbell on the 20 Feb 1877 on behalf of her deceased brother-in-laws children for $1200. Sarah is listed as the excutrix of the will of Chauncy Farr and was made guardian of his children; Rueben Augustus Farr, William Eugene Farr and Stella May Farr. CENSUS: Age 40, farmer. Cyrus' mother Matilda is also living with him and his three children. Alzina L. CRANDELL-8404 was born on 29 Jan 1835 in Vermont, United States. She died on 4 Dec 1869 in Newton, Manitowoc, Wisconsin, United States. Alzina married 1 (MRIN:2747) Cyrus Thomas FARR-6208 on 12 Jul 1855 in Elmira, Chemung, New York, United States. Alzina was counted in a census 2 in 1850 in Moira, Franklin, New York, United States. F i Ida Alzina FARR-8406 was born on 31 Jul 1856. She died on 20 Mar 1948. F ii Eva Adelaide FARR-8407 was born on 30 Sep 1860. She died on 24 Sep 1945. M iii Rev. George Merritt Eugene FARR-8405 was born on 21 Nov 1865. He died on 21 Sep 1946. Cyrus Thomas FARR [Parents] [scrapbook]-6208 was born 1 on 9 Feb 1831 in Brandon Center, Franklin, New York, United States. He died 2 on 22 Oct 1910 in Newton, Vernon, Wisconsin, United States. Cyrus married 3 (MRIN:2748) Sarah DREW-6367 on 17 Dec 1873 in Harmony, Vernon, Wisconsin, United States. Sarah DREW [scrapbook] 1, 2-6367 was born 3 on 1 Jun 1842 in New York, United States. She died on 4 Aug 1892 in Brandon Center, Franklin, New York, United States. Sarah married 4 (MRIN:2748) Cyrus Thomas FARR-6208 on 17 Dec 1873 in Harmony, Vernon, Wisconsin, United States. CENSUS: Cyrus, Sarah and Kittie all living with Cyrus' brother Oscar Farr. Alfred Farr, another brother, is also in this household. F i Kittie O. "Kitt" FARR-8408 was born on 7 Dec 1877. She died on 27 Aug 1969. Henry BENTLEY-13981 was born 1 in 1829 in Vermont, United States. He died 2 in 1873 in Wisconsin, United States. Henry married 3 (MRIN:2749) Sarah FARR-6209 about 1858. Sarah FARR [Parents] [scrapbook]-6209 was born on 18 Aug 1833 in Brandon Center, Franklin, New York, United States. She died 1 in 1916 in Wisconsin, United States. Sarah married 2 (MRIN:2749) Henry BENTLEY-13981 about 1858. Sarah was counted in a census 3 in 1850 in Brandon, Franklin, New York, United States. She was counted in a census 4 in 1910 in Harmony, Vernon, Wisconsin, United States. William STRUTHERS-13982 was born 1 on 22 Jun 1820 in Virginia, United States. He died 2 on 5 Feb 1899 in Vernon, Wisconsin, United States. William married (MRIN:2750) Sarah FARR-6209 on 2 Jan 1876. Sarah FARR [Parents] [scrapbook]-6209 was born on 18 Aug 1833 in Brandon Center, Franklin, New York, United States. She died 1 in 1916 in Wisconsin, United States. Sarah married (MRIN:2750) William STRUTHERS-13982 on 2 Jan 1876. Sarah was counted in a census 2 in 1850 in Brandon, Franklin, New York, United States. She was counted in a census 3 in 1910 in Harmony, Vernon, Wisconsin, United States.